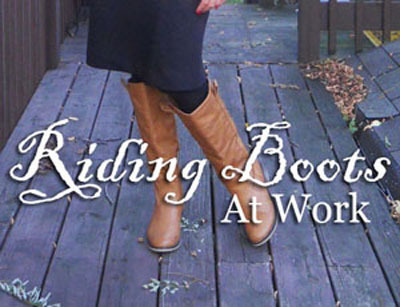 A faithful reader approached me about doing a post on how to wear riding boots to work. In my humble opinion, she could not have asked anyone better. I wear mine so much that you would think I was hiding a horse somewhere in my second floor, one bedroom apartment. If I was, his name would be Rusty. Just saying. This is probably the easiest way to use riding boots with an already existing work look. I usually wear this shift dress with black heels and a black cardigan. 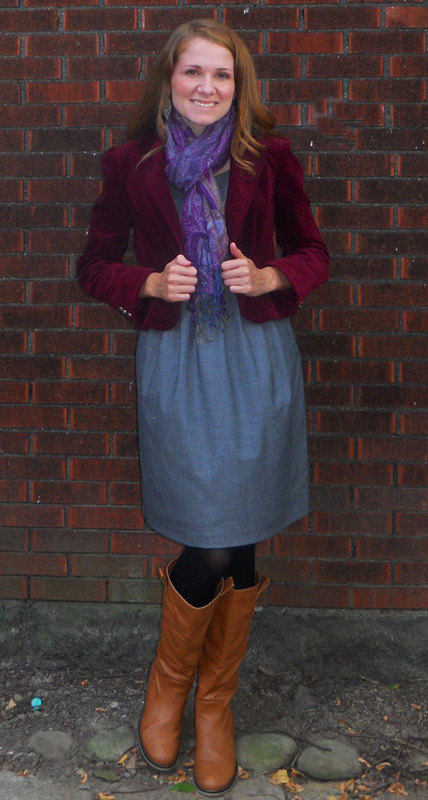 To make it work with these boots, I added pieces that carry the equestrian theme. Those pieces can be a tailored jacket or scarf — or any pieces that match the look and feel of your boots, but that can also be paired with a work look. 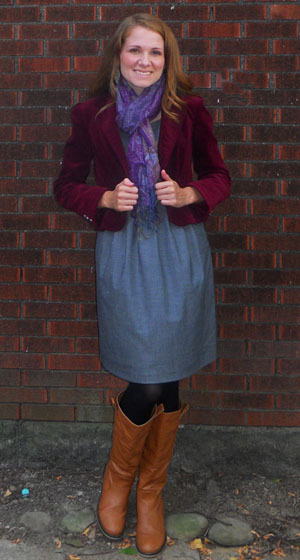 Here is a way that you can wear your riding boots to work and incorporate another current trend for fall — brights. The tan of these boots goes well with blues and greens, but I would encourage you to experiment with different colors based on the specific shade of your riding boot. You never know. 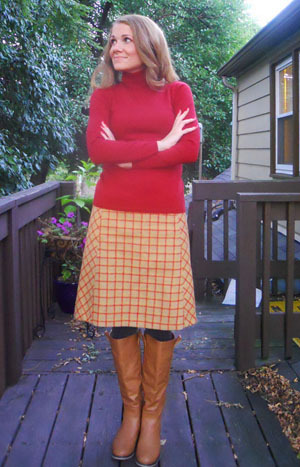 A plaid skirt is a great middle-ground piece for work. 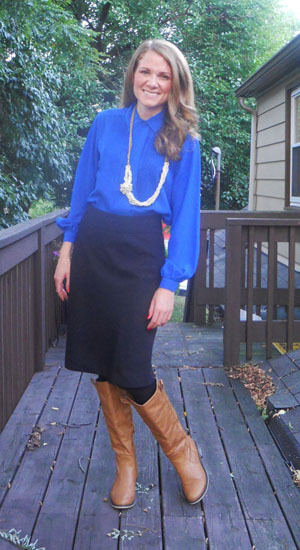 It has that woodsy charm that goes really well with riding boots without looking too casual. I found this skirt at a consignment shop, and I am not sure of the brand. I would highly recommend looking for one at your local thrift or consignment shop. This seems to be one thing I see consistently. You may want to hem it though for fear of looking too much like Laura Ingalls.